Q. What is the advantage of a “Granite Kitchen Makeover” compared to other choices in the marketplace? A. We do not need to demolish your existing kitchen.We simply go over your existing tops with a hard-wearing, engineered stone that requires almost no maintenance and is heat, stain, scratch and impact resistant. Q. 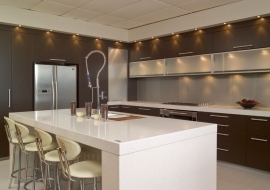 Does Granite Kitchen Makeovers only do kitchen makeovers? A. No, we are happy to renovate your existing kitchen. 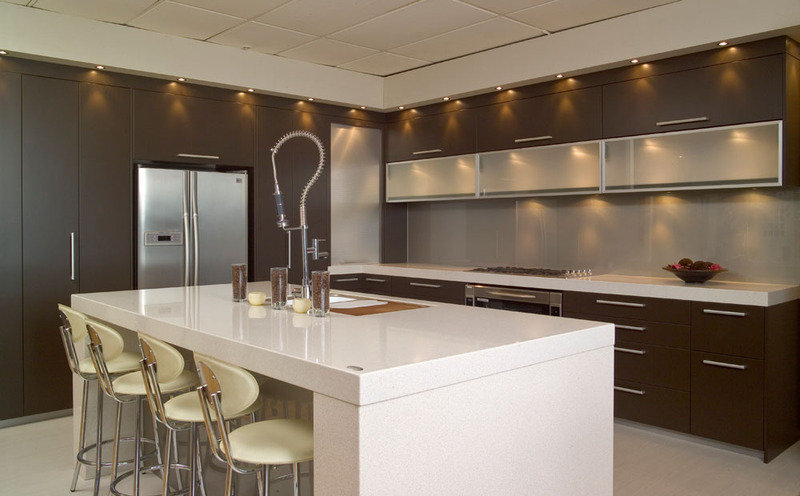 What’s more, our professional staff are specialized in all aspects of kitchen design and renovation so we can also manufacture you a whole new kitchen if that is what is required. A. 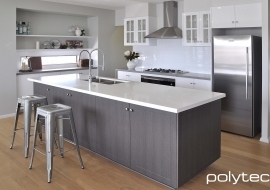 Each job varies but usually a kitchen benchtop can be completed in a day. Installing splashbacks can run into a second day. 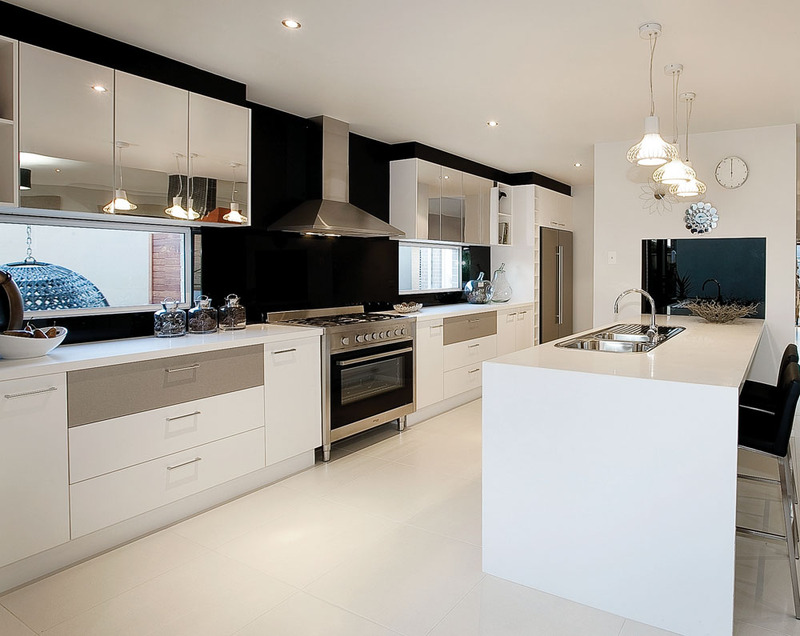 If it is a total kitchen makeover including benchtops, doors and panels we would usually allow three to four days. Q. What happens to my sink and cooktop? A. These need to be disconnected and reconnected but it is an easy job. Either you can arrange for your own plumber and electrician or our staff can arrange for this to be carried out by a licensed tradesman. Q. What if I want to change my appliances? A. 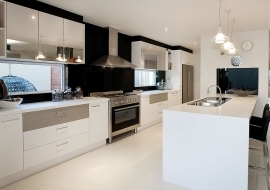 This is usually done in conjunction with the benchtop makeover as the sink and cooktop will need to be disconnected. You will need to have the new appliances on site so that they can be installed on completion. If the new appliances are a different size it is very easy for minor alterations to be carried out by our tradesman to allow for the new appliances to fit. Q. My existing benchtops have a rolled laminate edge. Is that a problem? A. No, this edge is very common and our professional tradesmen are used to dealing with this. 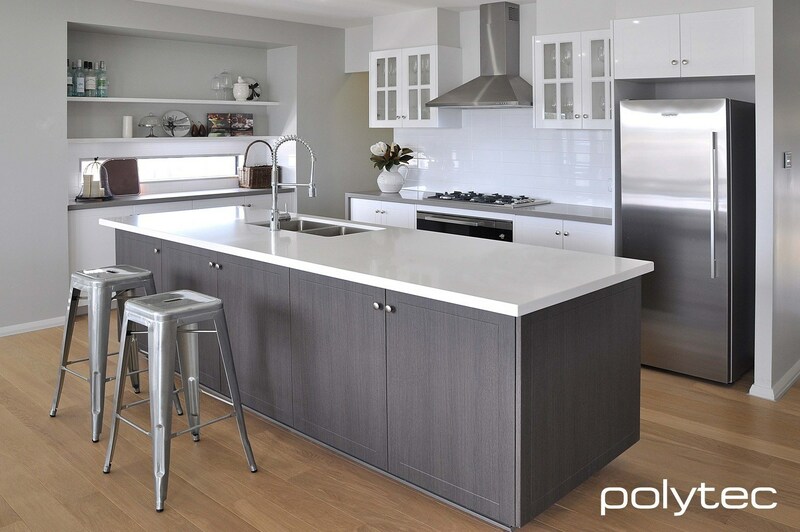 The new NaturaStone benchtop will end up square edged with a slight pencil round finish.